For people who love to travel, seeing the sights and snapping pictures just isn’t enough. Sometimes the experience is so powerful, that you want to carry a bit of it back with you in back home. This is where the travel journal comes in. 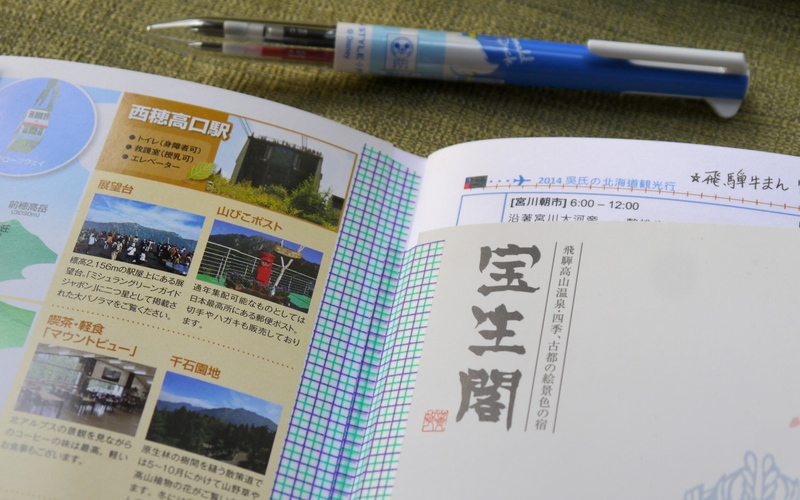 The famous Midori’s Traveler’s Notebook is perfect for this purpose, as its sturdy cover allows protection for the contents. 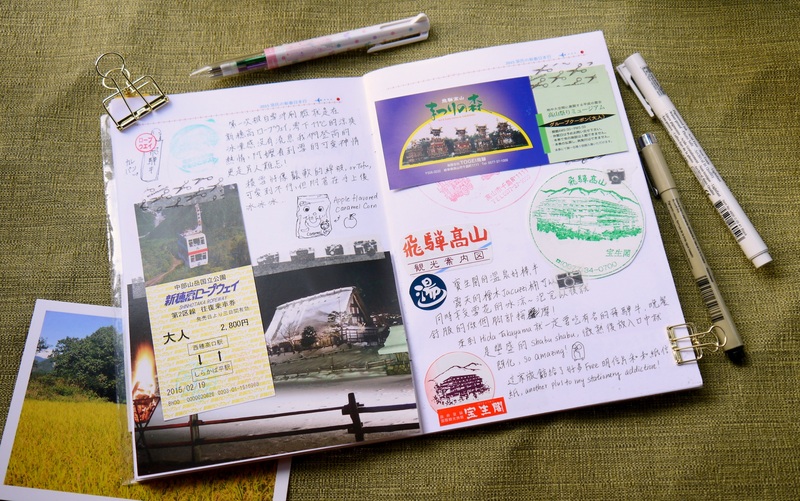 Some other travel journals comes with plastic folders to carry tickets or important receipts, all part of traveling and keeping notes. Whenever I’m going on a lengthy trip abroad, I always prefer to do some research on the places I’m going to visit. 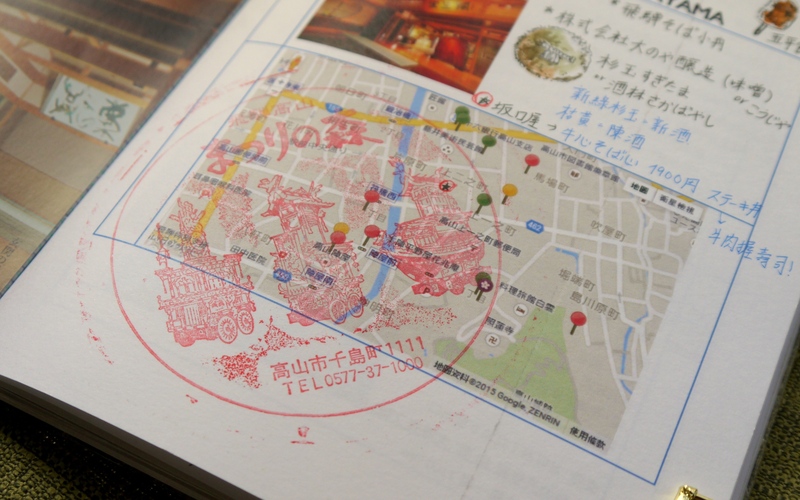 That includes Important information such as transportation and train schedules, and there are always some tips and recommendations from previous travellers that I just have to pencil in my itinerary. Before each trip, I will consolidate all the ‘research homework’ into a small booklet that I can carry and utilise when on the exciting trip. 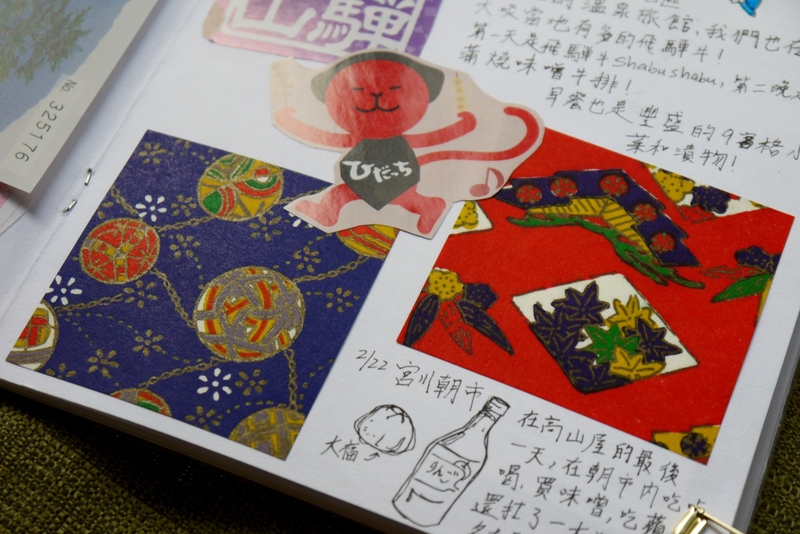 On this family trip during Chinese New Year to Japan, I put together a custom travel journal just for this purpose. 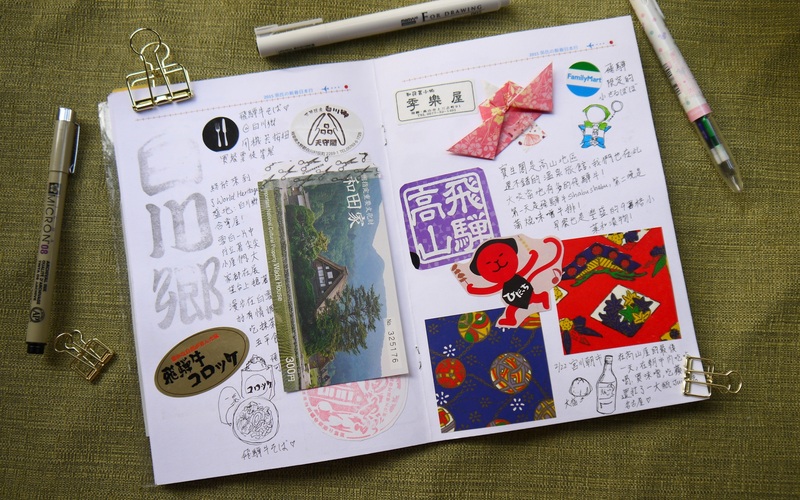 In this travel scrapbook, I will also write down short diary entries, doodle in blank places, and stick in scraps from interesting brochures and tickets to tourist sights. 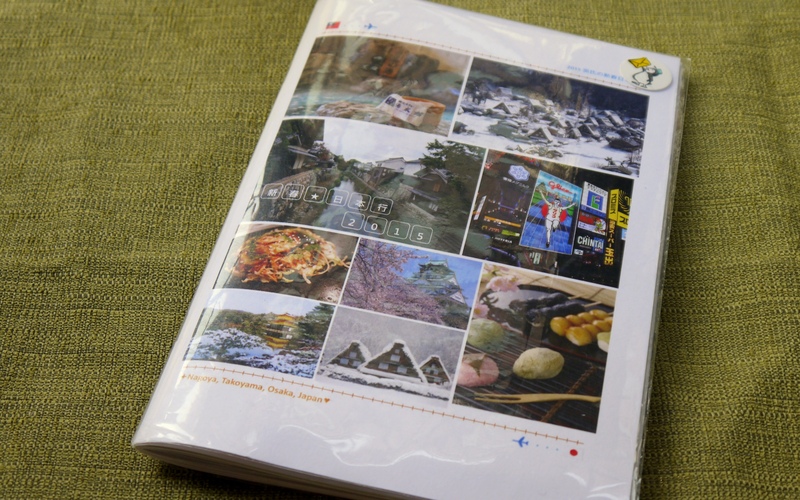 The point of scrapbooking is to collect each and every memorable items that you can find on your trip. That includes beautiful brochures, tickets, special name cards, beautiful postcards, maps, and other things you can save and use in your journal. 1. Collect and ‘washi’-tape it! 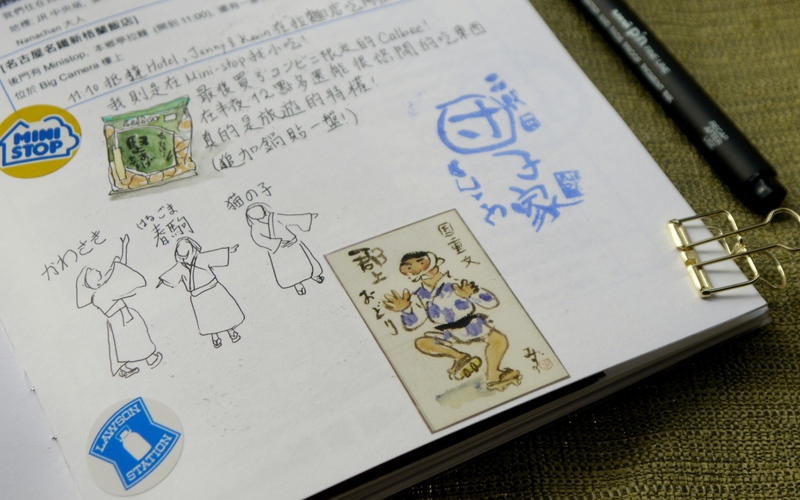 Washi tapes can be a helpful tool in keeping paper items in your book securely when you are in a hurry. 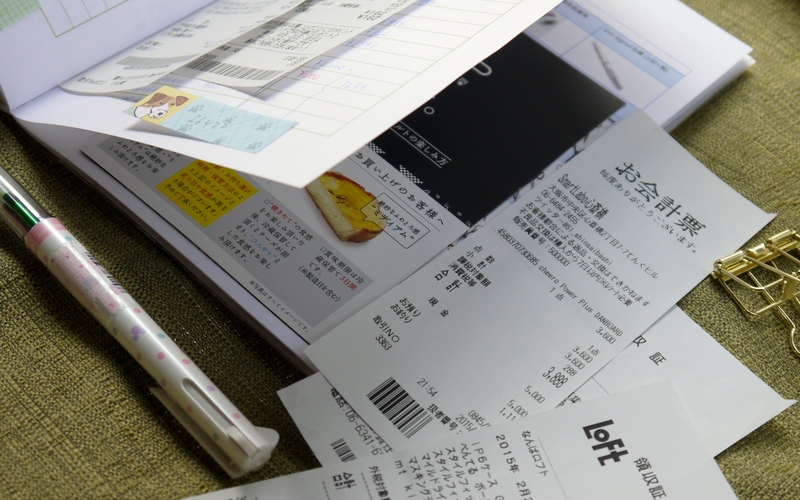 Because of its less-sticky nature, you can easily tape in some scrap paper, and remove at a later time. 2. Cut & paste brochures! On my travels, I try to collect as much paper items I see, which includes informative brochures. 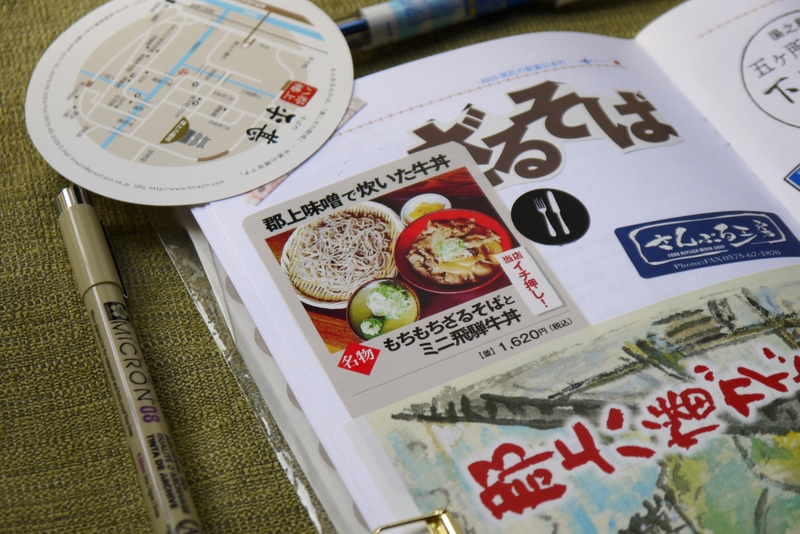 Japan is big on promoting tourism, so they always have beautiful brochures and informative maps at tourist centers or hotel concierge areas. 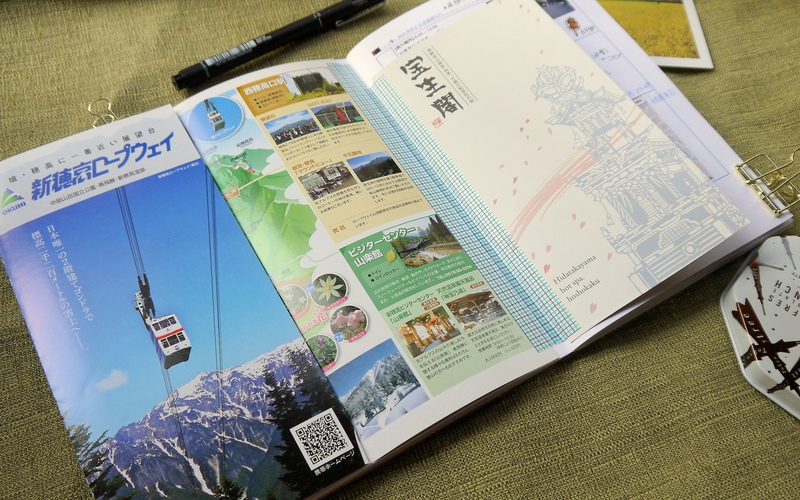 Every night I will start the scrapbooking by cutting out words or the names of the places I’ve visited out of these brochures, and they make very good headings for the entries in the journal! One way to store washi is to roll them onto straws or some sturdy plastic pieces. This way you can take with you as many color choices as you like without the bulk of each individual roll! 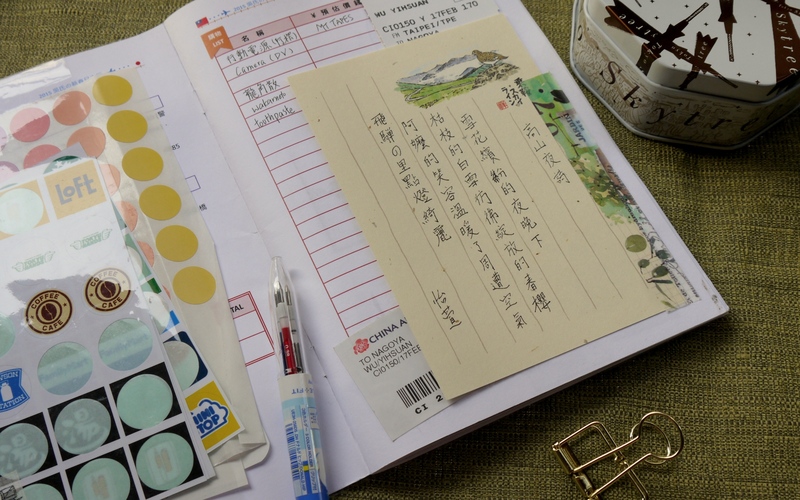 As for pasting the scraps onto the journal, you can always use pretty washi tape to adhere it to the page. This way you can still leave space for some extra writing. Sometimes when I find beautiful illustrations, I would use a glue stick or a dot-liner to glue it to the page altogether. It makes beautiful background to work on! 3. Find those unique stamps and collect! 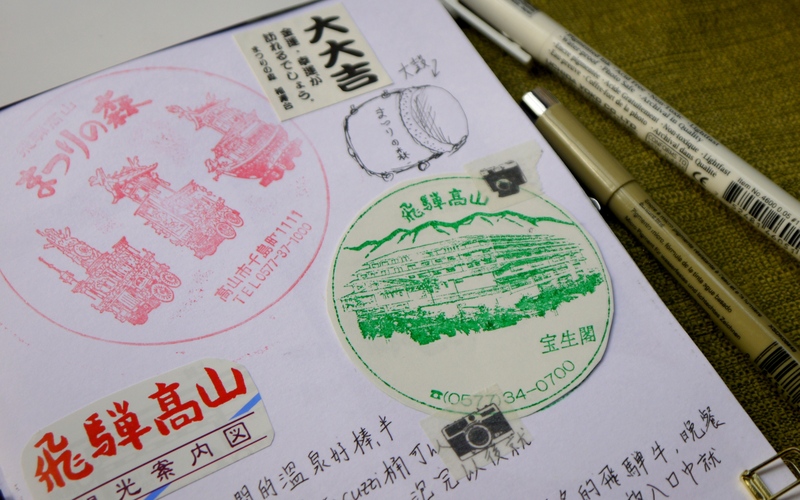 I’m super addicted to stamping, and there are ALOT of stamps available when traveling in Japan. 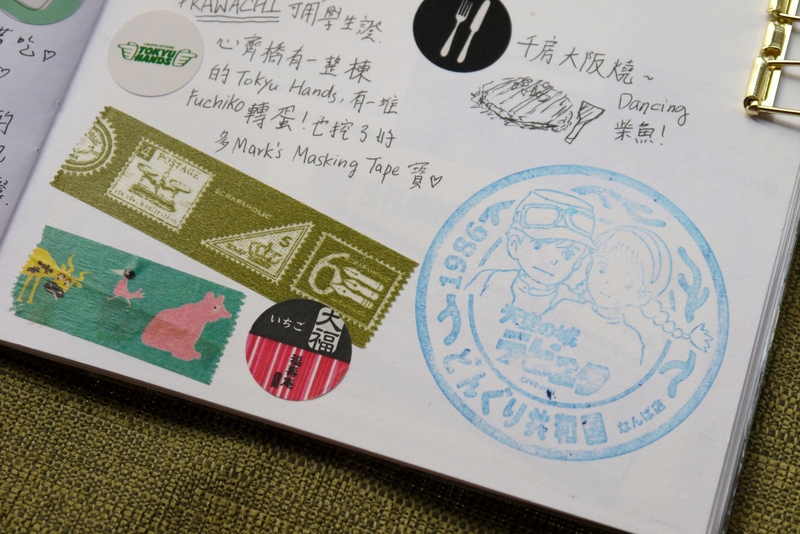 At almost every tourist centre, you will find local stamps that features famous sights or signature food of the area. 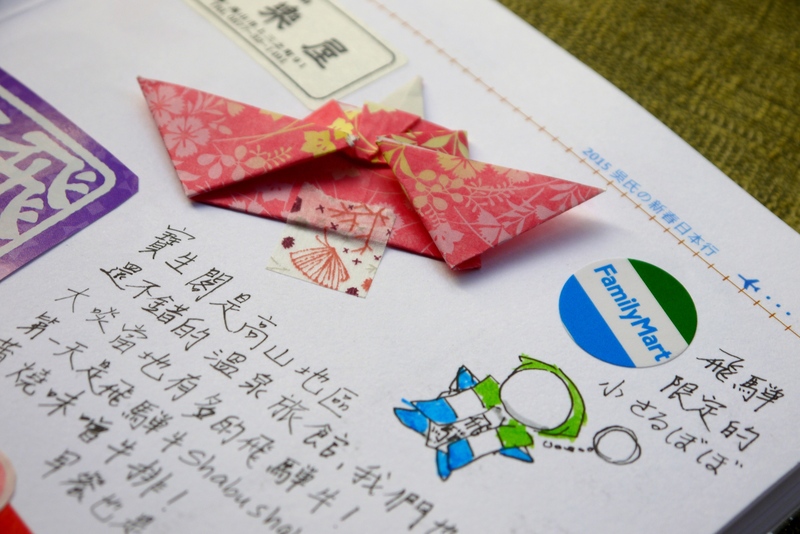 Japanese love their railway and there are also custom train stamps that you can collect when you take their mass transportation. We first arrived at Nagoya Central Airport and there was a 10th anniversary stamp to celebrate the event. Unfortunately our family passed by the stamp station too fast to catch our railway train to the city, and I missed the opportunity to put that in my journal. I definitely didn’t miss out when leaving through Kansai International Airport at Osaka. 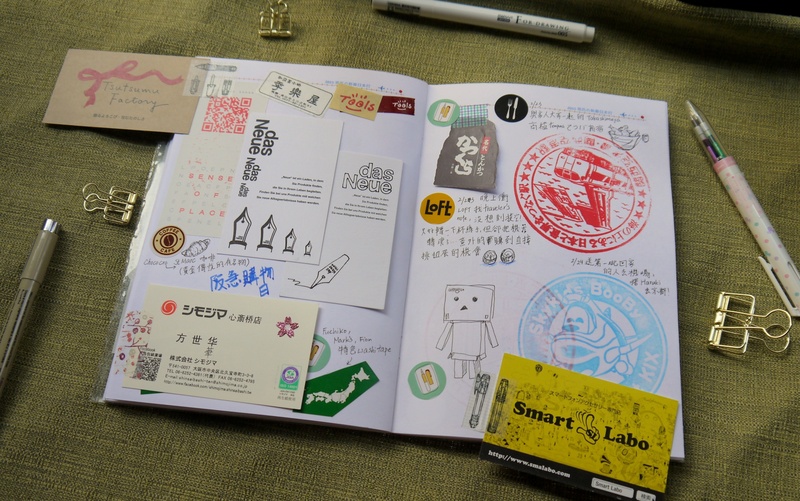 I made sure that my travel journal has a sturdy paper material so that the stamp inks wouldn’t bleed through to the back. 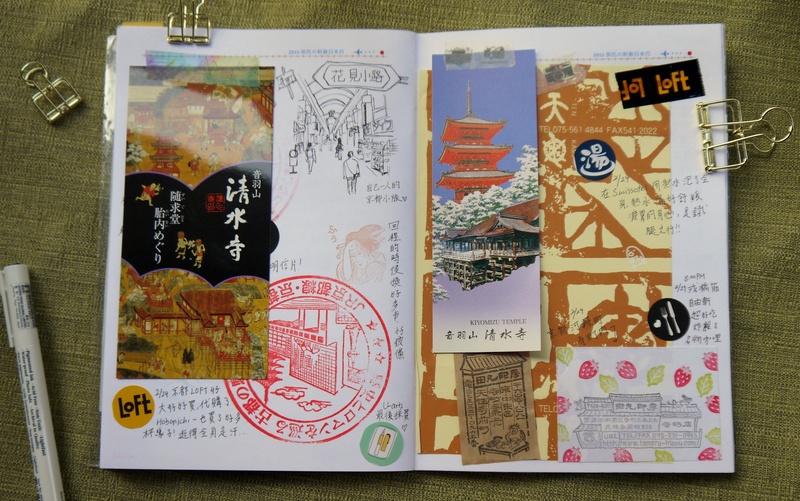 To make scrapbooking more authentic, a special trick is to stamp it onto grids or text, so that it really incorporates the “traveling” vibe. 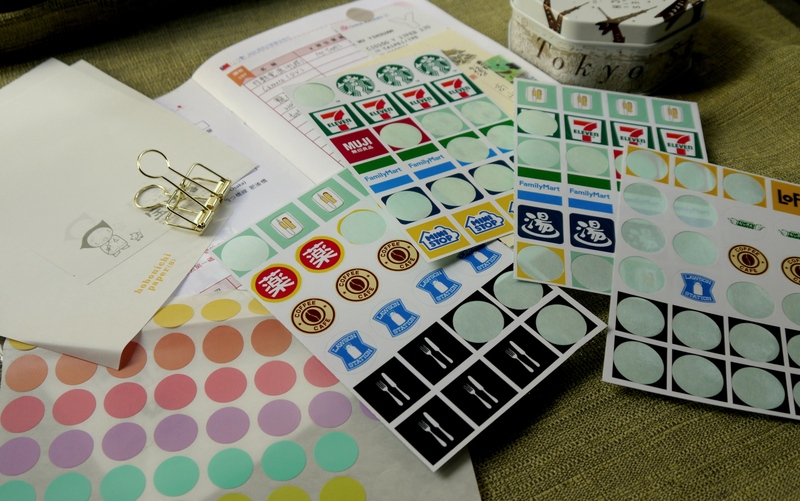 Before the trip, I printed out some label stickers with logos of shops I might visit or signature icons such as ‘restaurant’, ‘coffee’, or ‘stationery shops’ (lol). When I’m recording the shops I’ve visited, I could use these colourful stickers to categorize the different places. 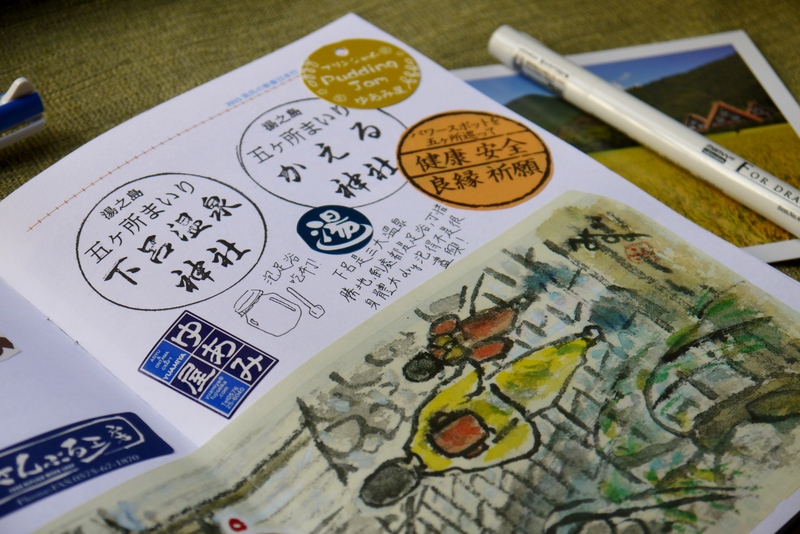 On this family trip, we got to relax at many hot-spring hotels, and I used a custom hot-spring logo to detail my reviews on the different hot-springs that I bathed in. 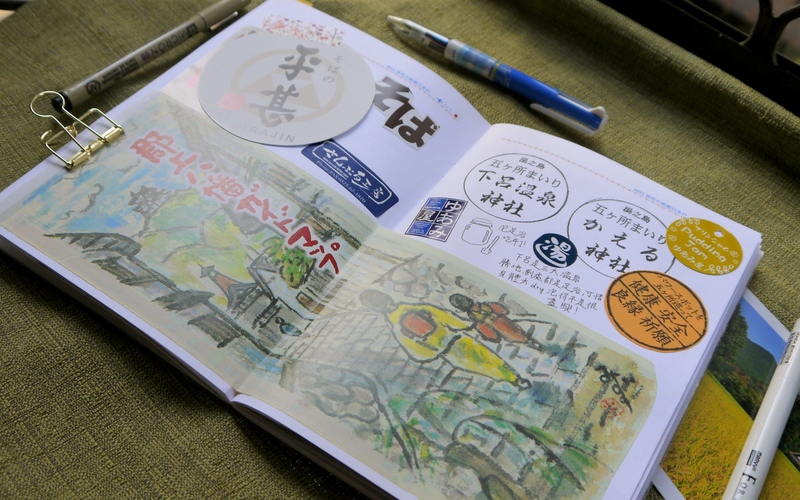 You can definitely create special sections on things you would like to record on your travels! 5. Save the name cards! I love to collect name cards, especially when traveling abroad and I want to remember a special shop that I like and want to look it up later. This is one of the things that you can haste-stick into your travel journal and you can reorganise later. Name cards are often uniquely designed and they can be beautiful accessories in your scrapbook. 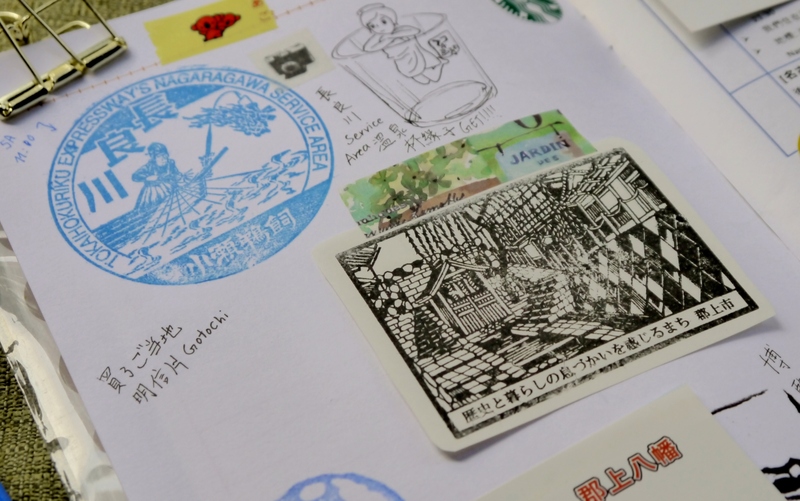 I visited numerous stationery shops on this trip, and I really would like to re-visit them again if I had a chance. 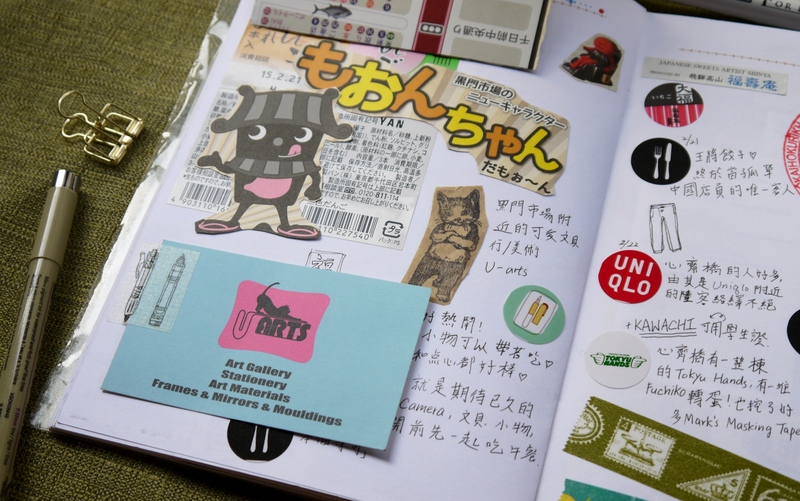 One of my favourite is a custom stamp shop called Maruta in Kyoto, and I purchased a Japanese character stamp there. 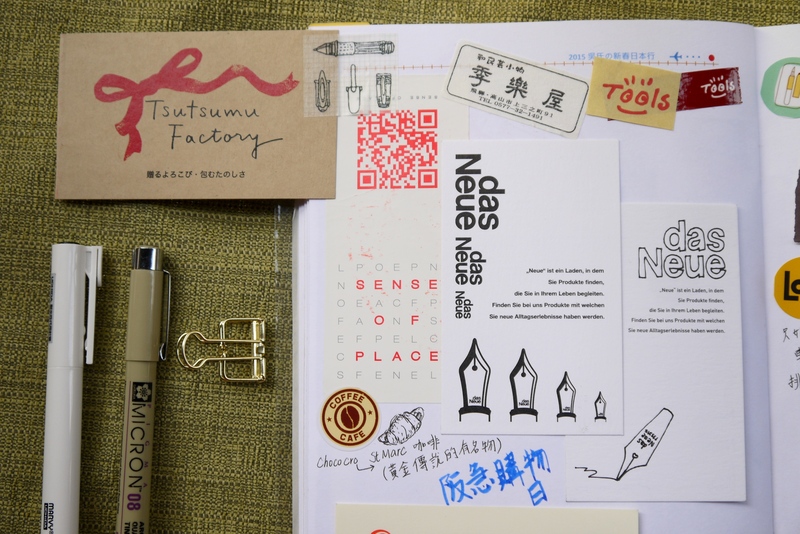 Their name cards are made of traditional washi paper and the information are all stamped with various patterns. Each name cards are unique and it’s definitely something I want to keep for a long time! 6. Keep an eye out for something special! Of course, there are a lot of other things that you can keep an eye out for and save it in your journal. One of my favourite is to preserve beautiful packaging from food products or other purchases. 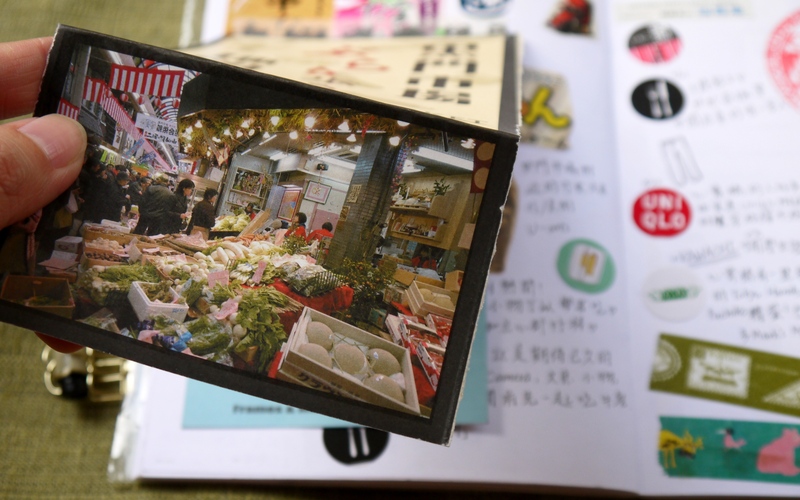 Japanese o-mi-ya-ge (or special gifts) have superb design and packaging, and I always try to salvage it into my scrapbook. On this trip, we had wonder meals at traditional hot-spring hotel, and they offered us dishes served in the traditional Japanese way. They are big on food presentation, and they used beautiful Japanese washi paper as glass coasters. These have amazing patterns and I had to save them for my journal. At one of the hotels, the hostess would leave cute origami on our pillows each night when they made the bed. It really shows the delicateness and consideration of these old-fashion hotels when it comes to service. 7. Finally, write and draw in it! 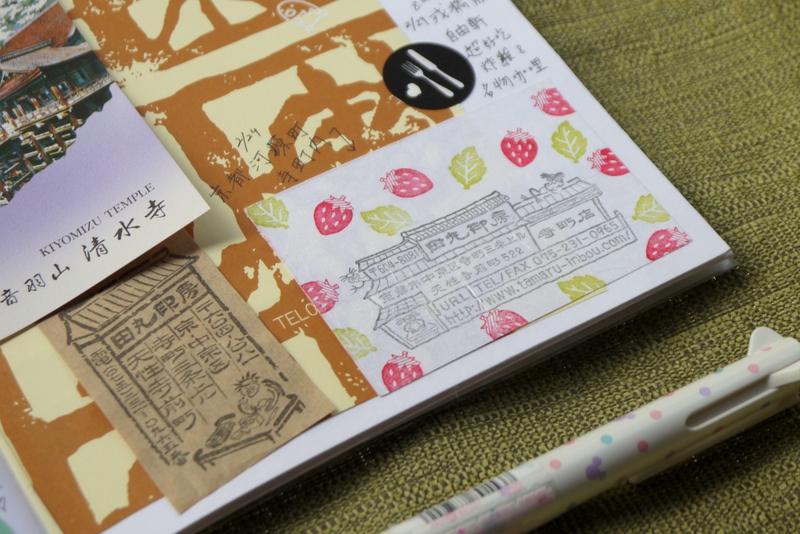 It would not be a travel journal without your thoughts and travel notes! Make sure to bring along your favourite pens and colouring materials! On-the-go I often use pencils to scribble notes and waterproof pens to draw quick sketches and doodles. In the evening when I have time, I will take out my pocket water-colour palette and add some colours into my drawings. Here are some of my full page spreads for you to see! When you combine scrapbooking and journaling, you will have pages filled with beautiful pictures and memorable things that you can show to your friends and family. They definitely help me remember the places I’ve been and the things that I’ve done. Keeping a travel journal can add an in-depth appreciation to traveling, and I would recommend it to anyone one exploring new places! Finance is important when traveling free-style. One of the sections I’ve incorporated into my traveling scrapbook are the ledger section. 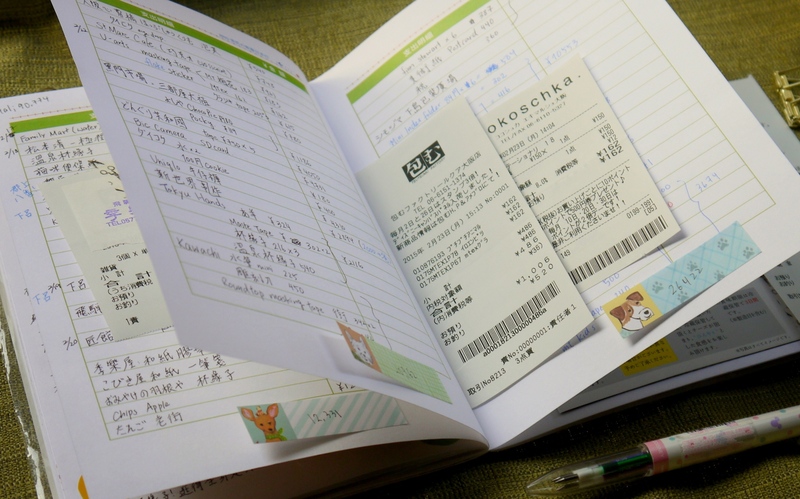 This is where I record my spendings on entrance fees, stationery hauls (lol), transportation tickets, and meal fees. I placed a plastic cover on this journal so I can have pockets on the end of each cover to securely store receipts! Hope you enjoy this post, and happy travel scrapbooking! This post is amazing. I have taken so many tips from it. Including: I had no idea what a dot liner was, so I googled it. It’s amazing! Also, how did you create your custom stickers? What is your recommended process? It’s indeed a work of love and a work of art!